Soon after the nuclear tests conducted by India and Pakistan, Akhil Bakshi led an 18,000 km motoring expedition - Hands Across The Borders - to promote peace and development in South Asia. The journey, with activists from the region, was envisaged as a massive contact programme through the interiors of Sri Lanka, India, Bangladesh, Bhutan, Nepal, and Pakistan. 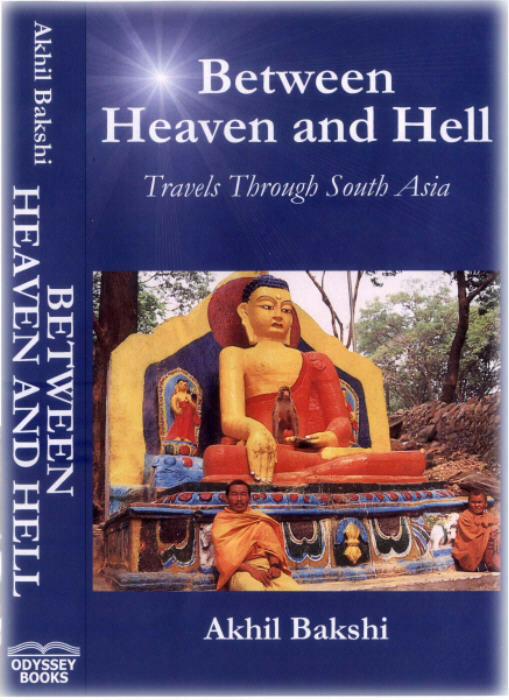 Between Heaven and Hell is an eminently readable account of that momentous journey. Interspersed by light-hearted mockery and jokes, the book refracts issues of development, religion, politics, and culture. The author confronts broad and challenging themes ranging from caste wars to widow burning. Compelling descriptions of people and places, bold and entertaining accounts of events, and cracking yarns on gods and saints, priests and politicians, make for a fascinating exploration of South Asia. Much distance has been travelled in the book, encompassing a region rarely glimpsed as a whole. The author's enthusiasm for South Asia enlivens every page. Wit, clarity, and elegance of style make the book gripping and hugely enjoyable. The text is enriched with sixteen pages of colour and over 200 black and white photographs.